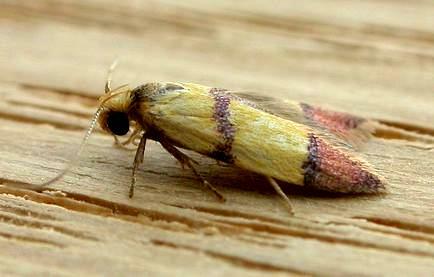 The adult moths have yellow forewings each with a brown band across the middle and a broad brown margin. The hindwings are plain pale brown. The wingspan is about 1 cm. Volume 9, Number 3 (1884), pp. 768-769.